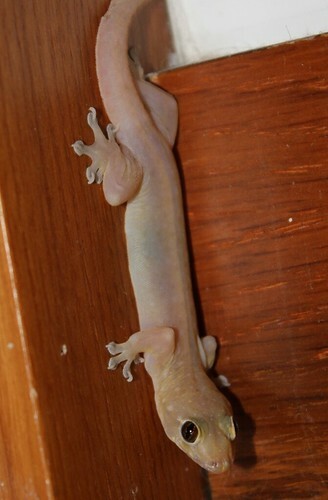 Can you confirm these amateur observations of Gehyra mutilata? butleri: W Malaysia (Selangor); Type locality: Kuala Lumpur, Malaysia. Comment Variation: this is quite a variable species. For some photos, including hatchlings, see Pawlowski 2013. 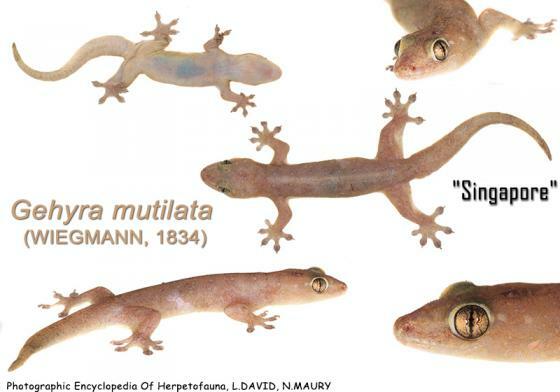 Synonymy: Dactyloperus insulensis GIRARD 1857: 195 has been removed from the synonymy of G. mutilata based on genetic data; otherwise the two species do not seem to be diagnosable morphologically (Rocha et al. 2009, Zug 2013). Grismer 2011: 451 synonymized G. butleri with G. mutilata. Original description in Amarasinghe et al. 2009. Distribution: reports from Micronesia represent G. insulensis, previously considered as a synonym of G. mutilata. McKeown (1996) states that Gehyra mutilata might have been present in Hawaii before the arrival of Europeans. Introductions: introduced to New Zealand but apparently not established there. 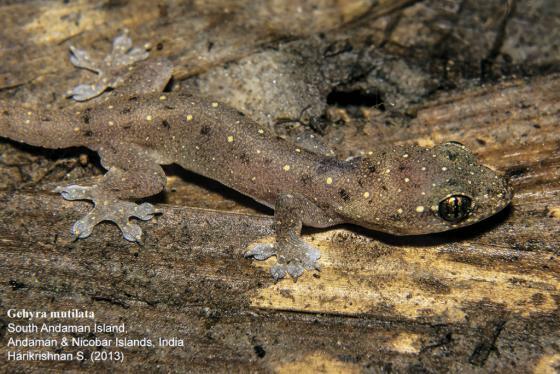 Etymology The origin of the genus name Gehyra seems to be unknown (Lemos-Espinal & Dixon 2013). The specific epithet comes from the Latin word muticus, meanmg “hurt maimed docked shortened or cut short”, likely in reference to the ease with which the tail is broken or the skin is torn (Lemos-Espinal & Dixon 2013). The genus Peropus has been named after the Greek word “peros” = mutilated and “pous” = foot. Gardner, A.S. 1985. 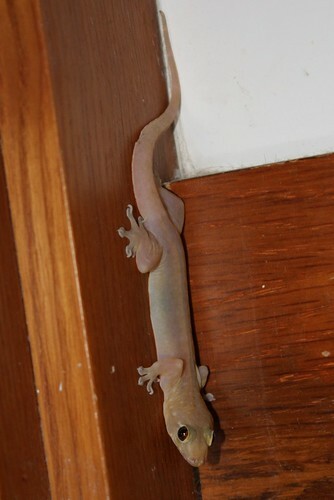 An identification key to the geckos of the Seychelles, with brief notes on their distributions and habits. The Herpetological Journal 1(1): 17-19. Gill B J. 1993. 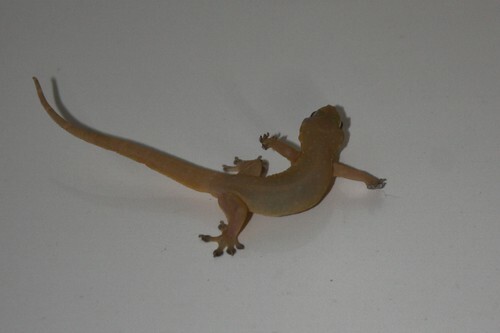 The Land Reptiles of Western Samoa. Journal of the Royal Society Of New Zealand 23 (2): 79-89. Ineich, I. 2011. Amphibians and reptiles. In: Bouchet P., Le Guyader H. & PascaL O. (eds), The Natural History of Santo. pp. 187-236. MNhN, Paris; Ird, Marseille; PNI, Paris. 572 pp. (Patrimoines naturels; 70). Morrison, C. 2003. 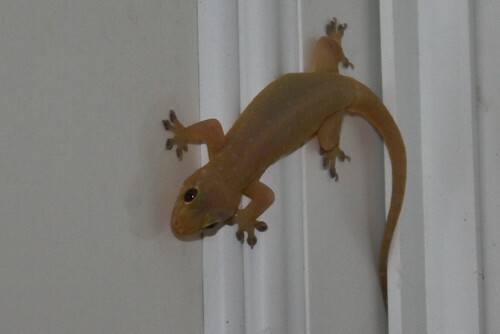 A Field Guide to the Herpetofauna of Fiji. Suva, Fiji: Institute of Applied Sciences, University of the South Pacific, 121 pp.